There was a time when young journalists in Bombay used to hear, in awe, that Aveek Sarkar, the paterfamilias of the Anandabazar Patrika (ABP) group, secretly considered Tony Joseph as the “ideal journalist”. That was high praise coming from the sophisticated owner of Anandabazar Patrika, Business Standard, and The Telegraph newspapers, and Sunday, Business World, and Sports World magazines. Tony Joseph, then editor of Business World, had caught his boss’s attention with his work ethic. “Even if Tony had gone out of town or abroad, and returned late in the night, he would go straight from the airport to the office to see nothing was amiss. Only then he would go home,” it was said. Even if apocryphal, it was a validation of Joseph’s rigour and attention to detail in journalism before the internet era. After a long career in business publications—The Economic Times as features editor, Business Standard as associate editor, and of course Business World—Joseph, “an atheist who likes the Buddha“, has penned easily the most important work done by any Indian journalist, living or dead. Early Indians: The Story of Our Ancestors and Where We Came From is not the typical Indian journalist’s idea of a book. It is not an egotistical trip down memory lane; it is not a lazy compilation of previously published columns; it is not airy-fairy drawing room gossip passed off as wisdom. It is prehistory covering 65,000 years. It has received critical acclaim—and raised hackles. Indian journalists are happy to write quick, frothy, I-me-myself tomes. What made you think you could pull off a serious book that broke new ground and overturned conventional wisdom? When I began on this six years ago, I was trying to find answers to a set of questions that had been on the top of my mind for decades: who were the Harappans, where did they go, and after their disappearance, why did it take more than a thousand years for civilization and urbanism to reappear in India. Usually, as journalists, we work to a deadline—a story has to be finished and delivered within a certain time-frame. In this case, though I did hope that there would be a story or a book at the end of it, that was not the main thing. The real and fascinating issue for me was, if and when I found the answers, what they would be. So even when I was meeting archaeologists and historians and others, I used to tell them not to expect a story to appear any time soon, that I did not report to anyone and so I was not working to a deadline and that there would be a story only if I found the answers in my own time.The words I used to an academician of great repute whom I met then was: I will not put pen to paper until I have got my head completely around the issue. It was only about a year or so into the work when I started to realise that to get my answers I need to go back far earlier than the Harappan Civilisation, in fact thousands of years earlier, and also come to grips with at least a few centuries after the decline of the Harappan Civilisation. This meant the scope of my work expanded from who were the Harappans to who were we, the Indians. It was also around this time that it became clear that some of the interesting answers were coming from a new field called population genetics that I had barely been aware of. It took me time to understand the new field, in conversation with experts from India and around the world, and by the end of the second year or so, it was clear to me that what I was looking at was indeed a book, not a story. So to answer your question, I was foolhardy enough to try and find answers to questions that had been left unanswered for decades and was then lucky enough to do this precisely at a time when answers were finally forthcoming from many fields. Or to put it in other words, I was a fool at the right place at the right time. Two other things also helped, perhaps. One, the fact that I was not an academic or a scientist in any of the fields connected with the issues helped in an odd way, because I could cut across the different disciplines and talk to historians, archaeologists, epigraphists, philologists, linguists and geneticists without any of the inhibitions that practitioners of any one discipline sometimes have. Two, I was lucky again in that the 30-odd scientists and academicians whom I interacted with were gracious and generous enough with their time. Who were the #Harappans? Who were the #Aryans? How did today's India come to be? In an interview, author of 'Early Indians' Tony Joseph explains, based on the latest genetic and other findings. How long was the idea cooking in your head? Did the increasingly fanatical and fantastical claims by the Hindutva mob post-2014 push you to dig deeper, or was this always an area of interest? Were you ever dissuaded from doing the book? For some reason that I cannot explain, the Harappan Civilisation has had a hold on me ever since I learnt about it. I used to read up on it every time I got a chance. So my interest in prehistory and the Harappan Civilisation precedes my awareness about the importance of history for the Rightwing in general, everywhere in the world. But having said that, it would be incorrect to say that I did not know that in India, as in a few other countries, history was a contested area and that there were attempts to rewrite it and remould it to fit the objectives of a political project. What I wanted to do was put a foundation of science, data and evidence to our understanding of prehistory, so that debates and discussions about it can be conducted based on facts rather than myths, conjectures and caricatures. There were times when I thought I would never finish the book, because the ocean of information that had to be crossed was so vast and deep and the fact that I was starting from scratch in some of these areas meant I had to proceed slowly and cautiously. If my work still kept on moving ahead, it was because the process of discovery was as rewarding as it was demanding, not because I was always sure that there would indeed be a book at the end of it. How did you go about doing the investigation? 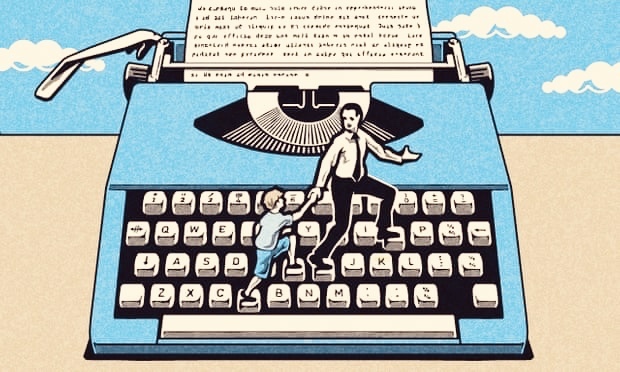 How did your skills as a journalist and editor come in handy? Where did the research take you? How long did the book take you from start to finish? What were the key learnings for you? In a way I could say that this was an extension of my work as a journalist, but that would not be the whole story. It is true to the extent that research, field visits, conversations with knowledgeable people and a writing method that makes the topic accessible to those who are not familiar with it while at the same time keeps it engaging and insightful for those who know it very well, were the basic tools I had, and I had been using these tools over decades of work as a journalist. Where it is not true is in the scale and rigourousness of the effort required and in the willingness not to write until one has seen an issue from all the angles. There is no comparison between the two on that count. The work took about six years, and one key learning has been that a writer’s block is not to be taken lightly: at least for me, it has always been a subconscious warning that I have not understood an issue well enough, and that I need to start all over again. And I had to do this as many times in the course of writing the book, as there are chapters in it! The book covers a span of about 65,000 years and uses six different disciplines to unpeel the different layers of our prehistory, and so moving from one chapter to the next, chronologically, often felt as difficult as starting on a new book, and required as much thought, reflection and re-work. Another learning has been the enormous benefits of a multi-disciplinary approach to solving problems, or understanding issues. This is often difficult to do because the starting assumptions, or unstated ground rules, of different disciplines can trip you up like landmines. But if you have taken the trouble to identify and understand these, then the different disciplines can be made compatible and you can arrive at insights that wouldn’t otherwise have been possible. To take an example, archaeologists and geneticists have very different and apparently conflicting explanations about how the world got populated first, but once you understand the differing starting points or assumptions of the two disciplines, you realise that their conclusions are not necessarily contradictory, as I have explained in the first chapter of the book. This insight, that there is a way to make different disciplines compatible, was very helpful for me in completing the book. The BJP has instituted a journalism award in the name of Narada. The Tripura chief minister has spoken of the internet as existing in the time of Mahabharatha. As the author of Early Indians and as a journalist, how do you see claims like these, and what it is doing to the collective consciousness? What we are seeing is the recrudescence or re-emergence of Right-wing ideology across many parts of the world that privileges faith and scriptures more than science and reason and then pits one community against another. It is often tempting to think that this is a dangerous but passing phase, but the history of humankind offers us no such solace. There have been darkness and regress that lasted for centuries and were not immediately reversed. If the current trend is to be reversed, reasonable people will need to learn to articulate their arguments in support of reason and logic, and convince their fellow citizens why this is important. This is not going to be easy. Because it is far easier to use blind belief and emotions of fear and hatred of the other to turn people onto a more violent and sectarian path than it is to use reason and logic to make them dream of a fairer and better world. But it has been done before and can be done again. Your critically acclaimed book has met with a sustained attack to hammer it down on Amazon with one-star reviews? What have you learnt from this about social media, about the way majoritarianism is going, and how did you cope? Social media allows you to reach out to people directly without going through mass media, but it also makes it easy to distribute fake news and false history. Considering that most people do not have the time or the inclination to sort out fact from fiction, on balance social media has tilted the environment in favour of those who are better at creating fake news and falsifying history. And what is surprising is that WhatsApp news and WhatsApp history are now being lapped up eagerly by the older generation, whom one would have expected to be wiser and more knowledgeable. Let’s hope the younger generation, since they are growing up in this dirty pond, will develop better resistance to this illness. Authors of books that argue for a liberal India as opposed to an illiberal India have been particularly targeted on Amazon, and repeatedly. It is beyond comprehension that Amazon would continue to allow this. They have made a beginning by separating reviews of verified purchasers from reviews of those who have not purchased the book. But the rating is a mixed one, and includes the rating given by both verified purchasers and others. This is highly misleading. For example, if you separated out the rating for Early Indians, you will see 99 per cent of verified purchasers have given it a rating of 5 or 4, while 99 per cent of the others have given it a rating of 1! The combined rating for Early Indians today is 4.2 out of 5 with nearly 100 ratings, so my book has been less affected by this organised, motivated attack by trolls than those of many others. It is high time Amazon acted to prevent this distortion on its platform. In my opinion, based on what I observe, it looks like a large proportion of India’s upper classes have made themselves comfortable with majoritarianism and all that follows from it, including the lynchings and the assassinations of rationalists and writers who hold a dissenting opinion. They may not openly voice support for this violence, but they are silent supporters of it in the sense that they do not find it upsetting or deserving of notice. Their calculation probably is that their privilege will protect them, even if this lawlessness progresses beyond where it is. They are perhaps right, or they are perhaps wrong. I would only suggest they should re-read history to understand how this ends, usually. As a veteran in the profession, how do you view the current state of Indian media? What have been the top-five problem areas, and what are the bright spots even in this barren landscape? Depressing, in one word. Take something like Demonetisation an unmitigated disaster that anyone who has ever read an economics textbook could predict. That almost all of India’s mass media cheered it on when it was announced tells us everything that we need to know about them. Some of them did so because they were fearful of reprisals if they did not join the cheerleaders; some of them did so because they were scared of skeletons in their cupboards; some of them did it because they didn’t know any better; and many of them did it because being a cheerleader was hugely rewarding and profitable. The mass media was not alone in this—almost all the powerful men and women in corporate India, and almost all the celebrities and the who’s who of India, went along with this. I am picking out Demonetisation because here is one decision that is undeniably vicious and harmful, and deeply hurt almost every Indian, especially the weakest; and even then, you couldn’t find enough men and women with a backbone to stand up against it! In other words, they went against their own interests in order to sing paeans of praise to the government! What it shows is that as of today, we have very few checks and balances in the system. Almost none. That is a dangerous, and depressing, situation to be in. # Too few journalists have the knowledge base or the necessary reading to do the job they are supposed to do. Of course, there are many bright spots even in this scenario. There are a few media houses that have shown the ability and the willingness to do their job. There are many new online media ventures that have shown the verve and skill that was once expected of mass media. There are many, many journalists who are ashamed of what some their colleagues are doing and are willing to do what it takes to keep the ideals of their profession still alive. There are readers, too few still, who are willing to support online ventures that have shown the ability to be courageous and truthful, and also reward mass media that does the same. You have been a longtime magazine man, and a business journalist at that. What kind of future do you see for magazines and business journalism, as corporate control of media explodes? As I mentioned earlier, it is depressing to see how Indian media covered Demonetisation. It is even more depressing when you look at how business publications covered it—it is in their own area of special expertise, and even they couldn’t really bring themselves to take on the government over this crazy decision! About corporate control, what is noteworthy today is the concentration of corporate control of media, which should cause even more concern than corporate control per se. Print magazines and newspapers, I believe, do not have a long-term future. There can be a future for them in the digital version, provided they find a way to either have a very large audience, or a very special service that many readers are willing to pay for. What advice would you give young journalists and students looking for a career in journalism in the current atmosphere? How can they keep their head above the swirling waters? Nobody can predict the form and structure of media that we will see a few decades from now. What we can perhaps predict is that knowledge, skill and credibility will be at a premium because that has been historically the case, even though our current situation does not seem to bear this out. So if you are joining the profession of journalism today, the best thing you can do is make sure that your choices are guided by how well your knowledge grows, how fast your skills improve and how robustly you build credibility. Do not join media organisations that do not uphold values of fairness and accuracy in their reportage, if you can help it. Who were the first settlers of India? Who built the Indus Valley Civilisation?